Its Ya Boi Brandon Boyd. Thanks for poppin on my website, got pictures of the kids, photos of the fam. Just sharing the joy that I have been blessed with!!! Having Fun at Arizona Mills with my kids! Corrina was really scared and wanted to get off, however Adrian was a trooper. Beside me is there mother Rachel Garcia. It was fun to get out for the day as a family and have some fun. We are headed into my daughter’s elementary school to watch her perform on her viola. She is currently finishing the 4th grade. Time is flying so fast, next year her Brother Adrian will be starting school as well. 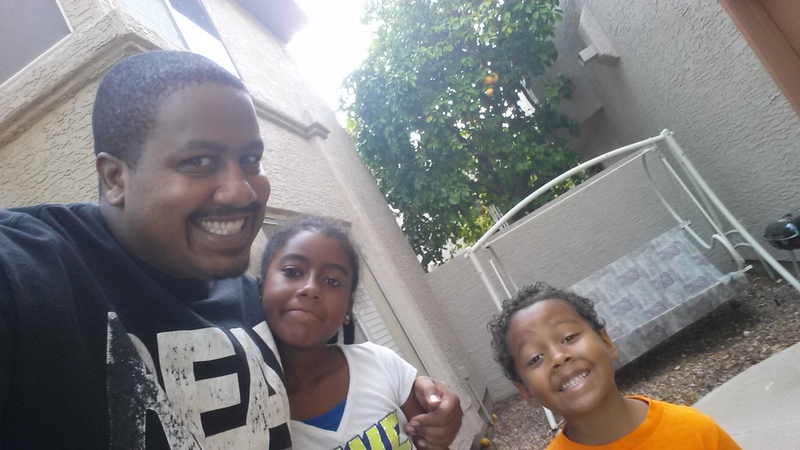 Me and the kids about ready to head out for the day!! !